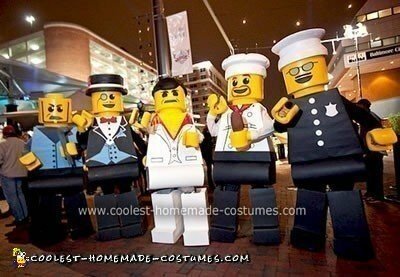 Holding home made costume contests is one of the most fun traditions all around the world. Our contests are no exception and we eagerly wait each year for October (Halloween) to hold a new contest and to see the wonderful costumes that are submitted. Costume celebrations are held in different times around the world, so send us your costumes (via this form) and they’ll be automatically included in our next contest. Every year come Halloween it’s the same story. I tell Tamar (my sister and partner on our Websites) that it’s over. 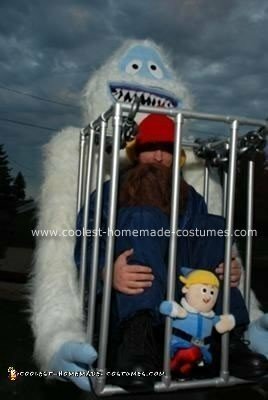 This year we can’t and won’t run a home made costume contest! Our site has gotten so big and it’s impossible to judge between thousands of costumes. 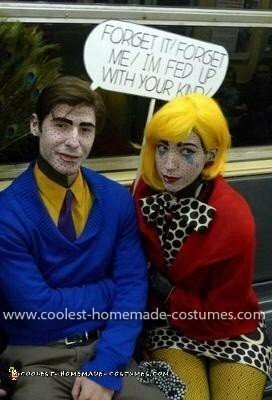 And, it’s also totally unfair to those amazing costumes that deserve some sort of recognition and don’t win a thing. But Tamar never gives in. And you know what? She’s right. Although we’ve got our work cut out for us during these months, after it’s over I always end up thanking my little sister for putting her foot down and being so adamant about running the Coolest home made costume contest. Because once we’ve finished reviewing, editing, categorizing and considering each and every one of the thousands of homemade costumes submitted each year, I’m totally inspired by people’s creativity and passion for costume-making – ever-flowing through the veins of our site. Any decision that is made, any winners that are selected, will not do justice to so many other incredible costumes. Yet, it’s not just the costumes we are judging. 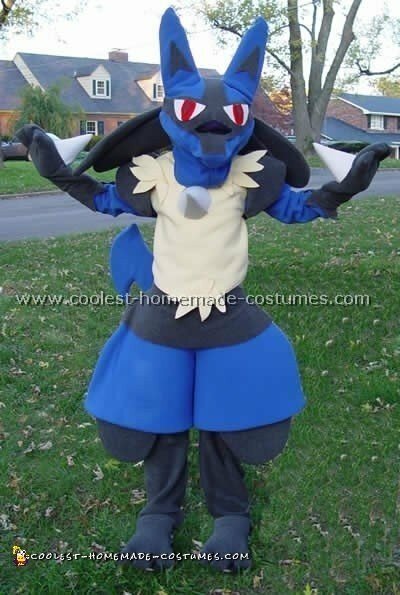 You see, unlike a real, live costume contest, we never really get to experience the costume itself. We rely on the photos and their artistic composition, detailed write-ups, your stories and anecdotes and, of course videos to get a feel for the costume. 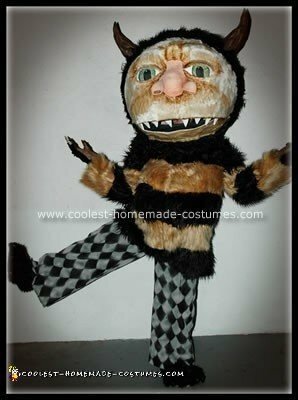 Hence, we have judged our home made costume contests not only on the final result, but also on the journey taken to create each costume. I wish you could have eavesdropped on our judges’ final 2011 voting session. It lasted approximately three hours. Tables were turned and revolvers were drawn. And when the smoke had finally cleared, there was a situation. 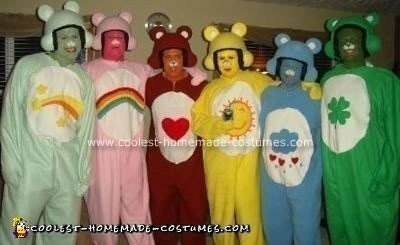 We could not decide upon which of the costumes submitted deserved the $500 Grand Prize. To blame for this uneasy situation was a young damsel named Serra Hirsch. 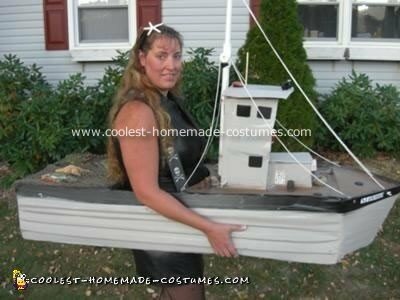 She had submitted no less than eight costumes to this year’s home made costume contest, each unique in its own special way. You will soon meet Serra not only in photos, and not only in words, but also in a short documentary film that resonates the love and passion we all have for creating homemade costumes. 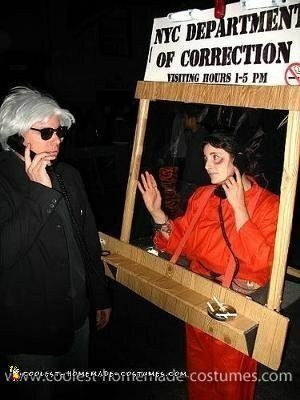 Serra Hirsch is our winner this year for her original Photo Strip costume… no, for her Prisoner in a Visiting Booth costume… yes, for these two costumes and others, each deserving of our Grand Prize. Serra’s unyielding devotion to inspiring people with her costumes has inspired us to create this separate page where you can view her submissions and find out more about her. Serra’s passion also inspired Mary C. Matthews, a film-maker friend, to create a not-to-be-missed short documentary about Serra and the essence of costume-making (also on Serra’s page). Now that the $500 Grand Prize has been awarded, we’ve still got quite a few prizes to hand out. 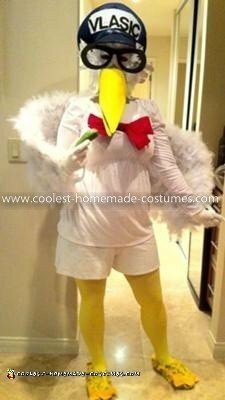 Again, any one of the following costumes (and many others that are not on our winner’s list) could have and should have easily won our Grand Prize. All the Following Awards are $100 Cash Prizes. 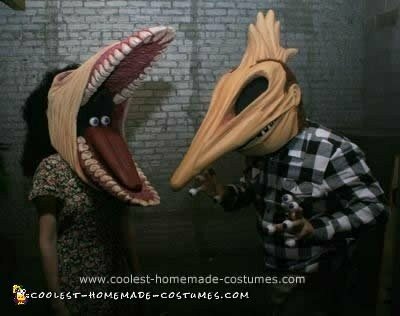 First we’ll start off with this year’s “Couple Costume Award”. Alanna, another New Yorker, and her boyfriend, brought to life one of Roy Lichtenstein’s Pop Art masterpieces – “The Kiss”. 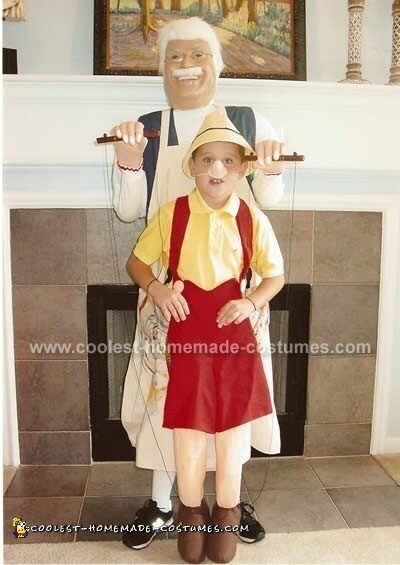 After days of contemplating a costume idea, they found inspiration from the framed picture right above their bed. The makeup is “on spot” and I dare guess that Lichtenstein himself would have been rather impressed to see his creation walking around the streets of New York City. 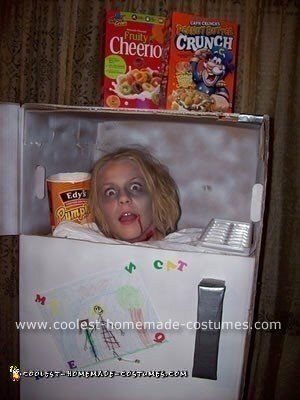 Our “Costume on Wheels Award” goes to Julianne from Harrison, Tennessee. 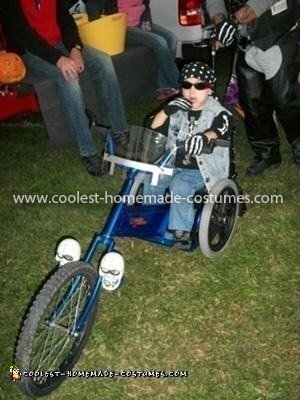 William Joel, her five-year-old, had his wheelchair turned into a “Trike” and himself transformed into a “Haunted Davidson” biker. 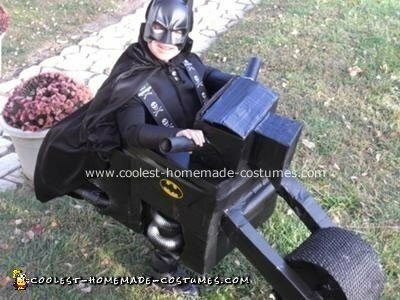 In addition, we’ve got some pretty cool wheelchair costumes on the site, each stirs up your emotions and this one Revs them up even more. 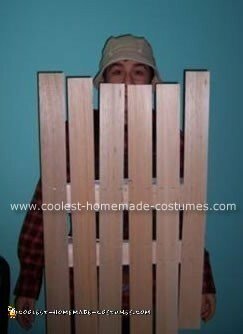 What do you do when your child asks for a costume that’s so abstract, you have no idea where to start and even this site can’t provide you with an example? You either convince the little tyke to do something else, or, you give it a shot. Hence, this leads us to the two winners of our “Say What?! 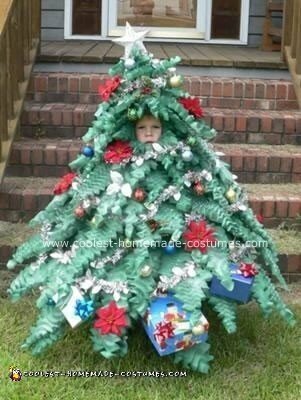 Costume Award”, two parents who took on the challenge of bringing to life their child’s wildest imagination. 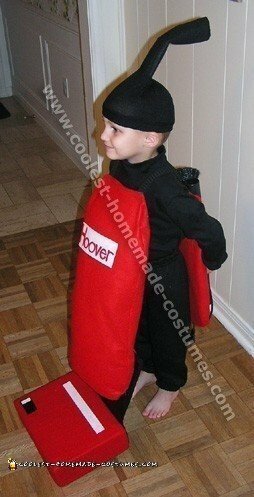 Sallie from Berkley, CA created a “Big Pair of Pants” for his six-year old. 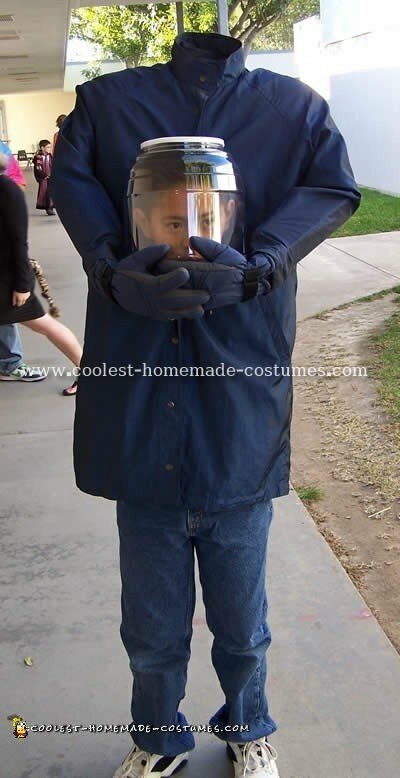 Probably, this awesome illusion costume will have many variations in the years to come. Patricia from Texas designed a “Treehouse” for her four-year-old. Also, Patricia wrote such a detailed and candid account of her motherly trials and tribulations, that it is no less captivating than the costume itself. Another great display of parental love and devotion is this Driving R2D2 submitted by Melissa from Nappanee, Indiana. We awarded it the “Mechanical Costume Award”. 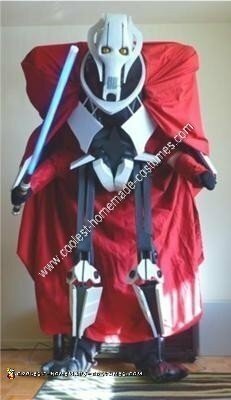 For three weeks during the evenings and weekends these parents toiled over turning scraps from their garage into the well-known Star Wars robot. 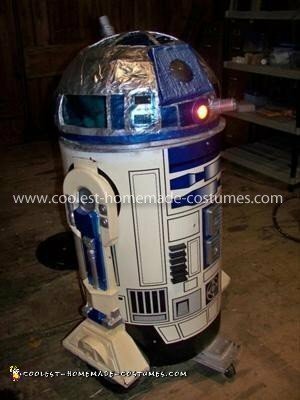 Without a doubt, I’m sure it’s a costume every child in the galaxy would have loved to take for a test drive. 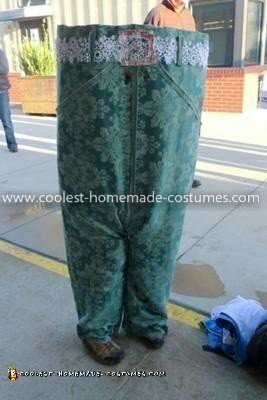 Our “Optical Illusion Award” goes to Kyle from San Diego, California for his Flying Genie costume. 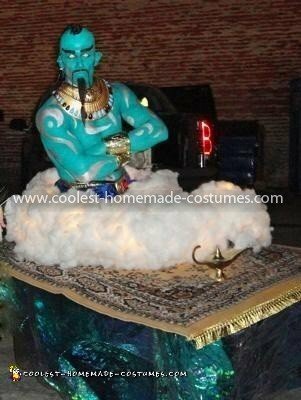 Kyle has also submitted several cool costumes over the years to our home made costume contests, including Zoltar and Leprechaun on a Pot of Gold, and this year’s Genie costume makes you want to wish you also had a magic lamp and carpet to fly on. We’ve awarded a fellow San Diegan, Kristen, our “Commercial Character Costume Award”, for her rendition of the Vlasic Pickle Stork. It’s a simple build, yet a first-of-its-kind in our Commercial characters section and surely will inspire others to take a shot at creating the famous pickle mascot. 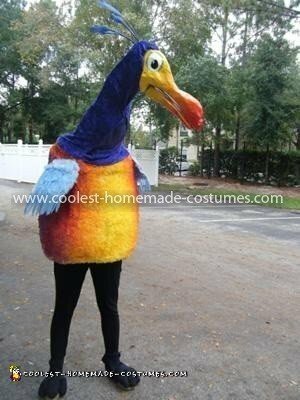 And while we’re on the topic of birds of a feather, Kaleena from Orlando Florida is awarded the “Animated Character Costume Award” for her creation of a large bird called “Kevin” from the movie “Up”. Especially relevant, Kaleena shares with us her original adaptation of this colorful prehistoric bird, meticulously documented and skillfully executed. Our “Recyclable Costume Award” goes to David from Greenville, South Carolina for his “Crab Costume”. 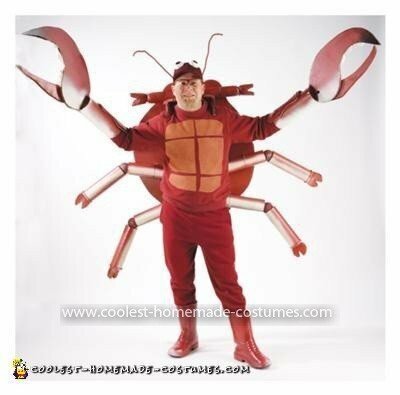 Inspired by Pringles cans and the TV show Deadliest Catch, David transformed himself into the crustacean he so loves to catch. Some nifty foot-work to the tune of Bon Jovi’s “Wanted Dead or Alive” shows the costume’s durability (and David’s acquaintance with this litter critters slick moves). That sums up $1500 in cash prizes… but there’s more! Linda’s Peacock Costume – Linda from Los Angeles submitted her beautiful Peacock costume in 2009. 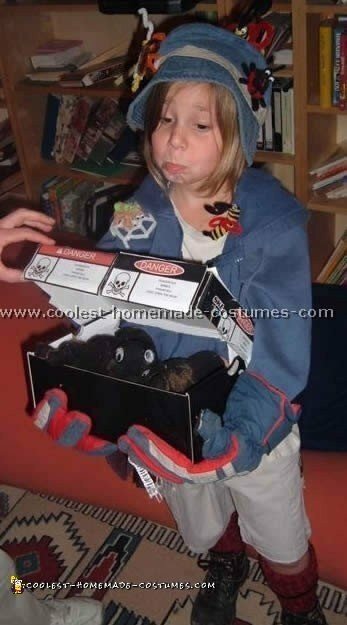 Even though she didn’t win a prize, but throughout the years we noticed her costume received hundreds of comments. Linda’s devotion to answering the questions and comments deserves our special recognition. 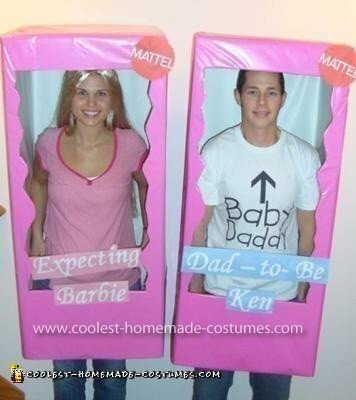 Expecting Barbie and Daddy-to-be-Ken Couple Costume – Melissa from Portage, Wisconsin came up with one of the most original ways to let everyone know that her and her husband are expecting. 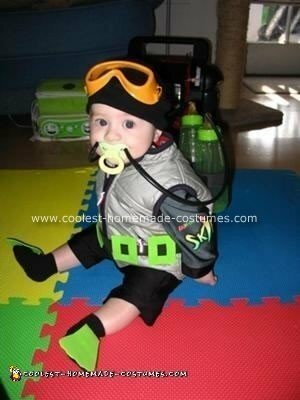 Baby Dragon Costume – When little Winter began to crawl, his dad commented that he walked like an iguana. 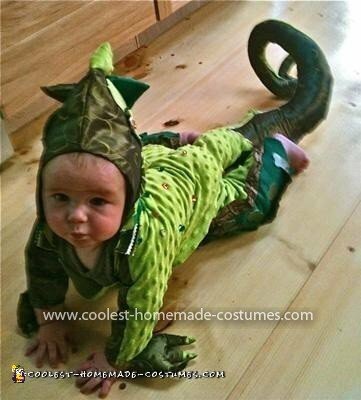 So, Mommy Liz from North Yarmouth, Maine transformed her little iguana into a cute baby dragon. 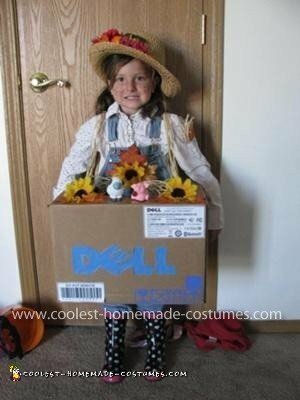 Farmer in the Dell Wordplay Costume – Laura from Owensboro, Kentucky transformed the well-known nursery rhyme into a witty wordplay costume for her four-year-old daughter. That’s it folks. Another year gone by. Another home made costume contest wrapped up. $1825 awarded in cash and prizes. Once again we’d like to thank each and every one of you who submitted costumes this year. 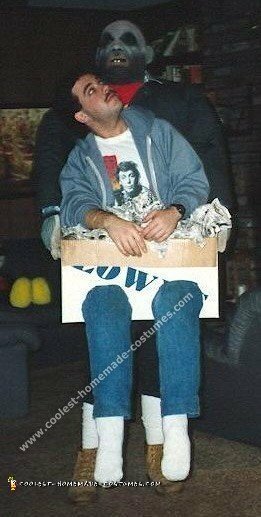 Many of the costumes not mentioned should have easily won a prize. You are all a true inspiration and your homemade costumes will continue to inspire others who visit this site for many years to come. 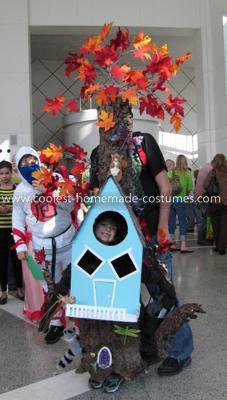 During our 2010 home made costume contest, we promised that if we get more than 2000 costume submissions, We’d DOUBLE the total prizes to $2000. So the total sum of prizes doubled and more costumes won more prizes. Then, during the long hours of judging, deliberating (and arguing) who deserves to win, we awarded even more prizes reaching a total of $2500 CASH prizes. Our biggest Halloween home made costume contest to date! And yes, only cash prizes. This year we decided to stash away the gift certificates and award all the winners hard, cold CASH. 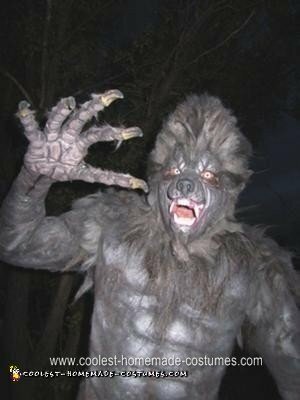 The creation of the costume was just the first part of the Werewolf’s journey. During Halloween Austin and his wife drove all the way to Vegas (13 hours straight through) to compete in some of the home made costume contests being held there. Consequently, Austin’s letter reassured me that the many long hours Tamar and I put into judging, the old-fashioned traditional way, does in-fact do some sort of justice. Jeff didn’t travel with his costume to Vegas, but did pick up a few local home made costume contest prizes and along with the prize money from this contest is planning a new and even bigger homemade costume project. He’s told me about it, but I’ll keep it a surprise until we get a chance to feature it here on the site next year. We’ve still got $1500 in prizes left, so we’ll move on to our runners-up. This is where our judges got a chance to be creative with prize categories. 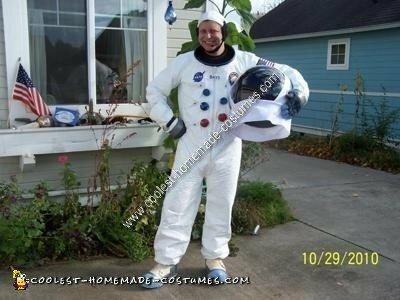 This year’s “Out-of-This-World Costume” is awarded to Greg from Bellingham, WA for his Apollo Astronaut costume. His excellent step-by-step video and meticulous attention to detail will have the folks over at NASA envious. Greg’s prize is $150 spending money on the moon. 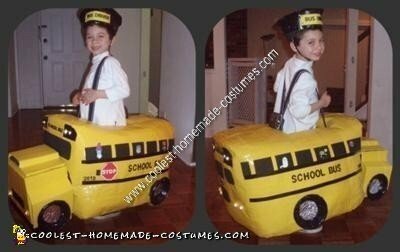 Another $150 goes to Danielle from Northbrook, IL for her Classic Yellow School Bus costume fully equipped with lights, special sound effects and driver. 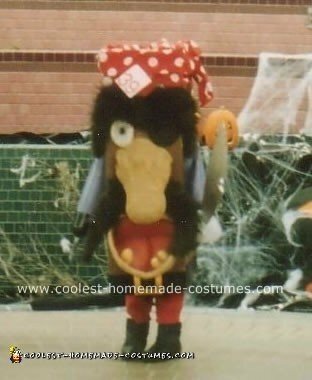 From the pictures, it seems like Danielle had as much fun creating the costume as her son did wearing it. Here’s to all the Mom’s (and Dads) out there who take part in creating the magic of their childrens’ Halloween. 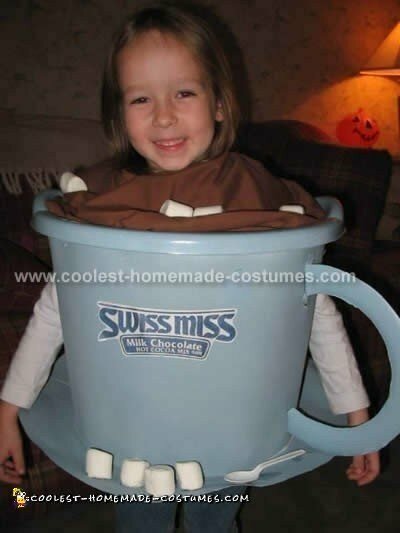 Another very special costume-making Mom is Leslie from P’ville, NY. Leslie sent in 20 (!!) 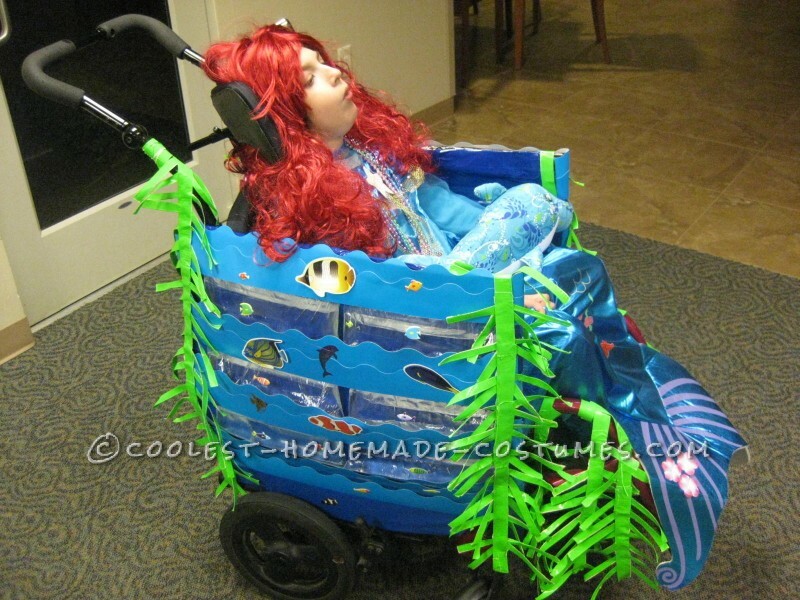 wheelchair costumes she’s created over the years. We didn’t select a specific costume and rather awarded Leslie a $150 “Lifetime Achievement” award. 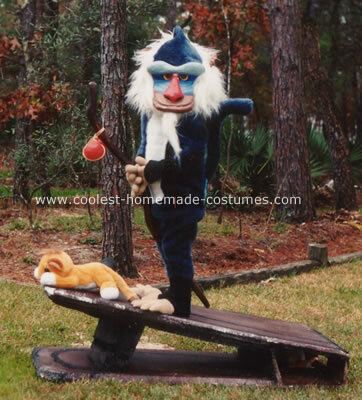 Consequently, Leslie’s submissions have helped us create a new Wheelchair Costumes section where wheelchairs become the coolest costume props. We chose two costumes for the “Most Artsy” award – each winning $100. 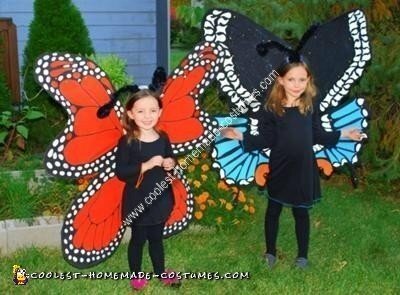 Michele from West Lafayette, IN created gorgeous Butterflies with wings even real butterflies would be jealous of. 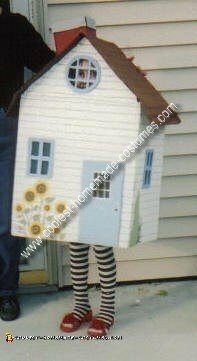 Laura from Owensboro, KY built a beautiful house and then had it “fall” on her daughter to portray the House that Fell on the Wicked Witch of the East. 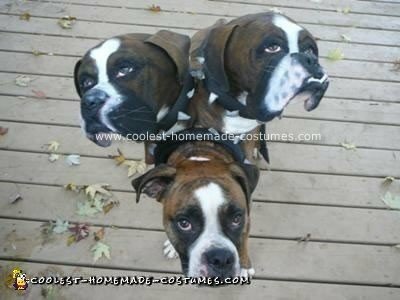 Both costumes very artistically crafted. We received some really cool optical illusion costumes and, again, couldn’t decide on one winner so we awarded two costumes the $100 “Original Optical Illusion Twist” award. 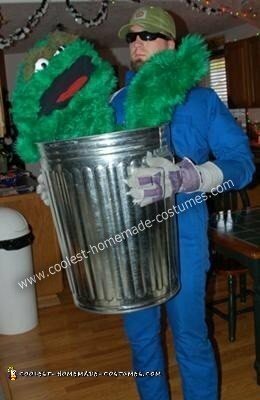 Matthew from Meridian, ID created such an unbelievable Oscar the Grouch in a Trash Can optical illusion costume. Even when when you watch the video you can’t really figure out how Oscar is moving. 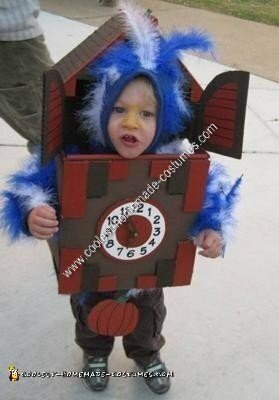 Our “Most Original Toddler Costume” award and $100 goes to Josh from St. Peters, MO for his Cuckoo Clock costume. Seems like Josh and his wife invested a lot of engery and “time” into this clock. The Coolest “Couple Costume” goes to a pair of Nerds created by Shayna from Riverside, CA for her and her boyfriend. 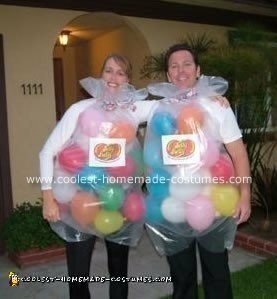 Seems like this costume is a great beginning for a sweet (and tangy) relationship. So, here’s $100 for your original effort, Shayna. 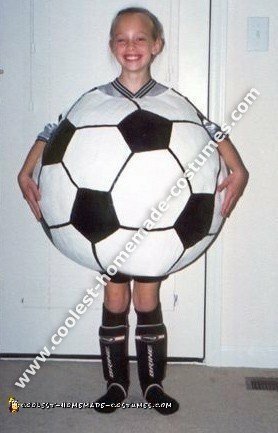 This year we opened more than a hundred new costume categories for those costumes that did not fit into existing categories on the site. 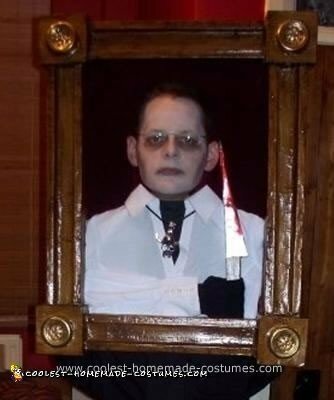 So we decided to award a $100 prize for the “Most Original New Category” to Jonathan from Manchester England for his spooky Haunted Portrait costume. 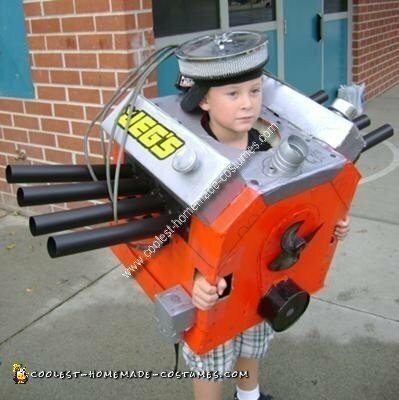 Another new category opened was the Car Engine costume submitted by Chet from Chino, CA. 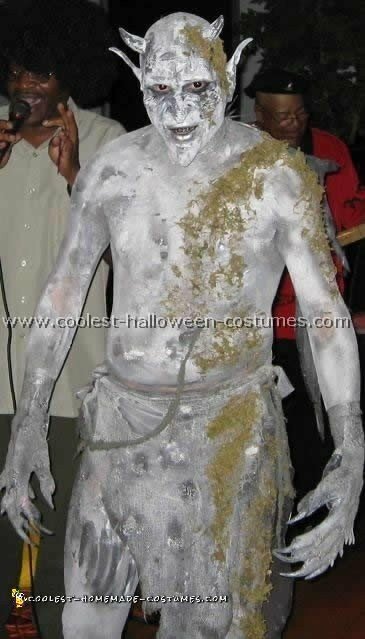 Because it cost a whopping $3.98 for a can of orange spray paint and deserves the $100 prize for “Lowest-Budget Costume made of Recyclable Materials” Award. 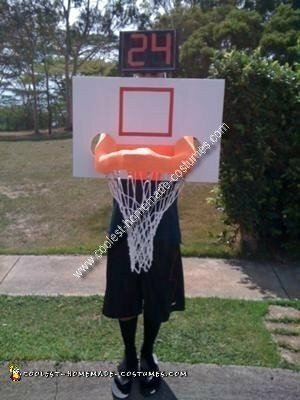 Allyson from Diamondhead, MS found an original way to disguise her pregnant belly and the day after Halloween she went into labor and gave birth to a… basketball :-) Most of all, we hope Allyson and her newborn enjoy the $100 prize for their coolest “Pregnant Costume” – Basketbelly costume. 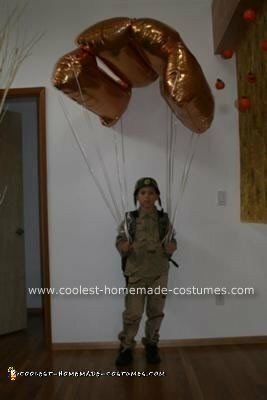 Furthermore, our final $50 prize goes to Misha from Portland, OR for her “Original Costume Accessory” in the form 1-shaped helium balloons connected to form a parachute for her Paratrooper costume. 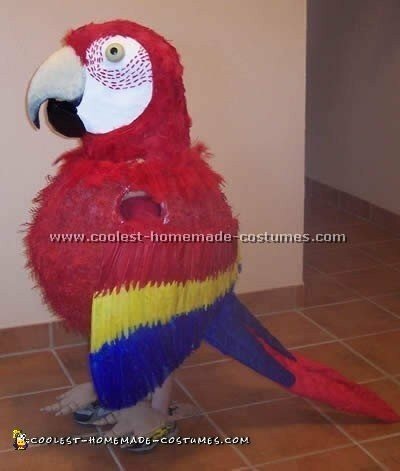 Due to such an original idea, the costume really soars. Phew! That’s it. 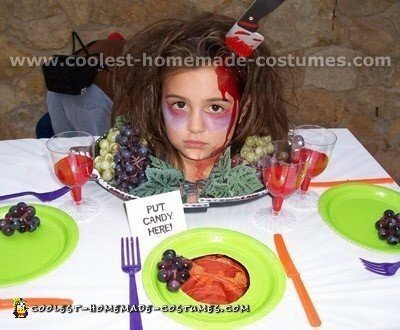 Sixteen inspiring winners in this year’s Halloween home made costume contest. $2500 awarded. Thanks to all the winners and thanks to everyone who took part. You’re an inspiration to us all. 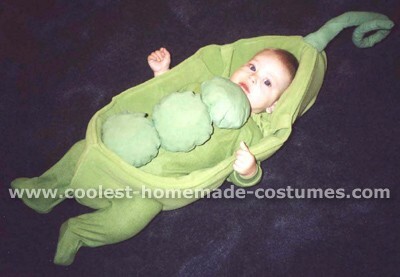 This “Peas in a Pod” costume was made for my son’s first Halloween. 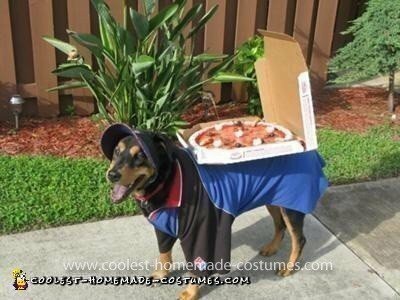 This is the best Halloween costume I’ve made. Since he was an infant and not mobile yet, I needed something that would look cute with him just lying there. 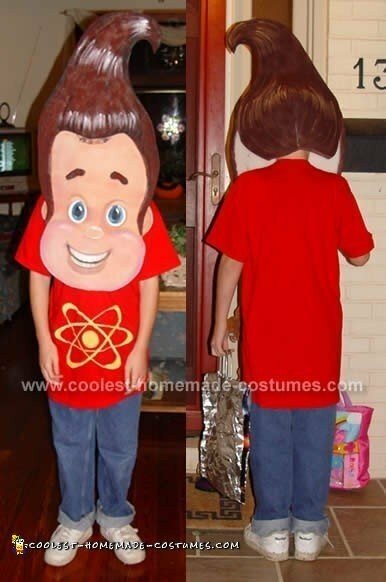 The costume was quite simple to make. I first bought a white sleeper that fit my son, 1 meter of white polar fleece, 1 meter of white flannel, and 1 meter square of 2″ thick foam rubber, a small strip of Velcro, a package of green Rit dye, and a package of fibre fill. I tossed all the material except the foam and the filling into a bucket of green “Rit” dye. I cut out six 7-inch circles. Then sewed them together in pairs and stuffed them to make three ‘Peas’. I tacked the peas together in a row. To attach the peas to the body, I used 3 little pieces of Velcro, and sewed one to each pea and the matching pieces to the body of the sleeper. For the ‘Pod’, I drew the pod shape on the foam and made sure it was as long as my son, and then I shortened it by about 2″ on top and 2″ on the bottom. I also made sure it fit around his body and up both of his sides. I placed the pod shape between 2 pieces of the polar fleece and sewed it together all the way around the pod shape. The top and the bottom of the Pod were then sewed together to make a canoe shape. Holes were cut where the arms and legs would come out and the fleece was sewn to finish the edges. I made a curly stem from flannel and stuffed it, for the top of the pod. 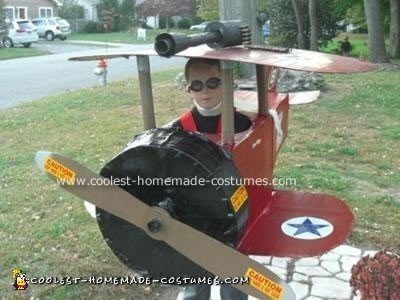 The whole costume took me about 6 hours to complete (which isn’t a lot for our best Halloween costume).